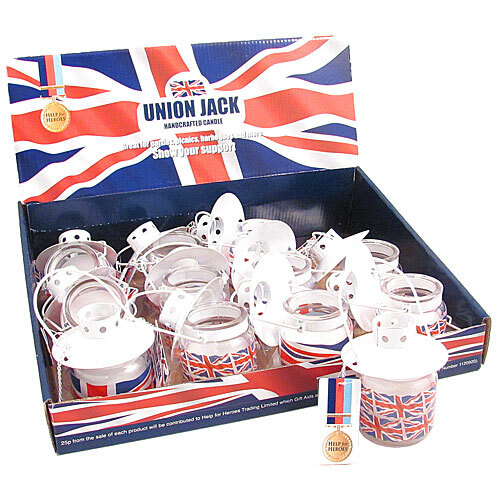 A patriotic alternative with this Union Jack Hanging Candle in Glass (height 7cm x diameter 6cm - Packaging height 9cm x width 36cm x depth 28cm). 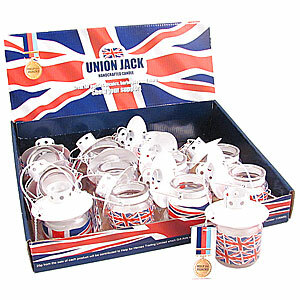 This help for heroes inspired candle in glass comes in the traditional colours of The Union Jack red, white and blue. Designs are supplied individually assorted so try a money-saving box of 12 today.